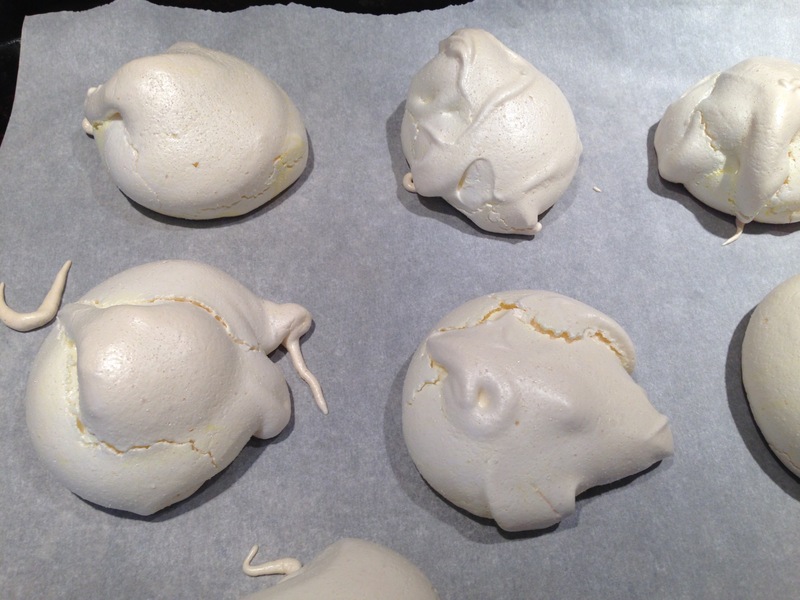 Make meringues, and while cooking, explore the science of meringues e.g. what make the foam. Beat the egg whites until they start to get a bit thicker. Then add the sugar in two parts, beating between. Add the cream of tartar to help stabilize the foam. Add flavouring if desired. Continue beating until the mixture forms stiff peaks. Note how the whisk beats air into the mixture, and that the air bubbles stay around as a foam. 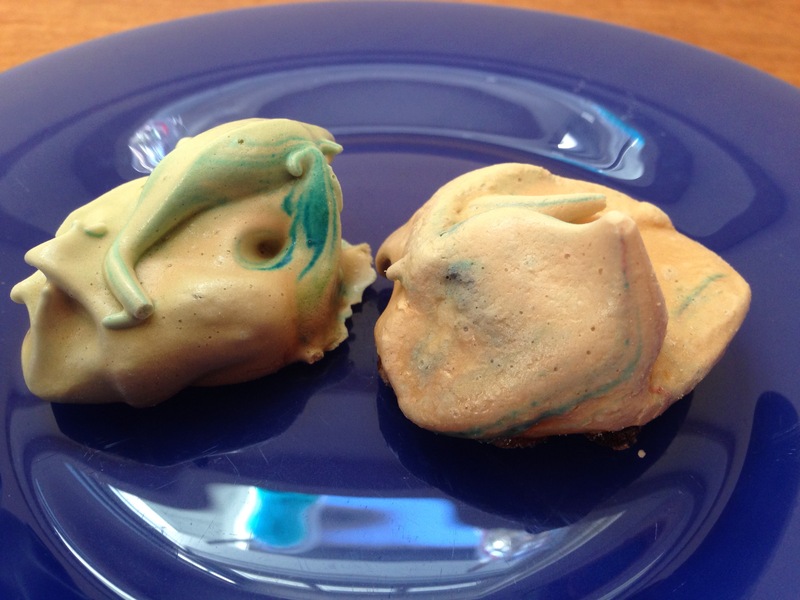 Optional: carefully fold in food colouring to make swirly patterns. Blob onto the tray and put in the preheated oven.